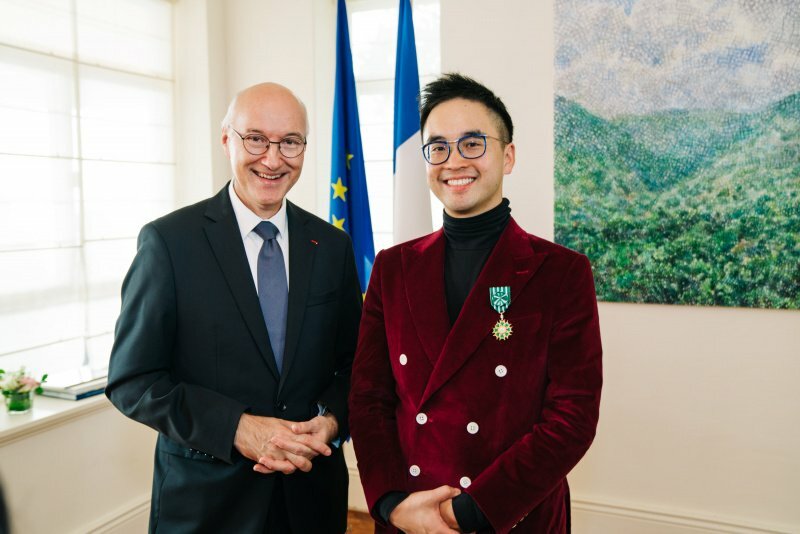 K11 Founder and cultural entrepreneur Adrian Cheng was awarded by the French Minister of Culture for his work bridging China and France through art, and has no plans to stop his relentless cultural work. From now on, for K11 founder and cultural entrepreneur Adrian Cheng it will be harder and harder to sit unnoticed at his favourite Coutume Café in Paris. 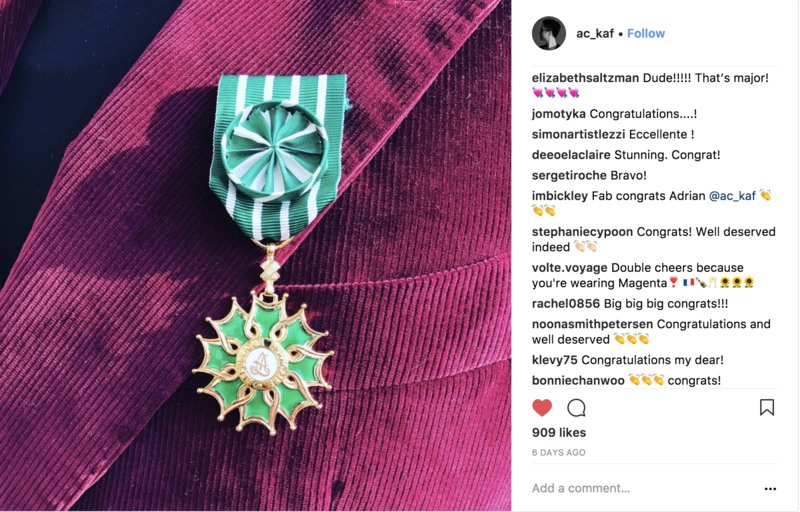 That’s the price to pay when you become Officier de L’Ordre des Arts et des Lettres, the prestigious award that recognises leading figures in the arts who have made a significant contribution to French culture. Cheng has always been a lover of French culture and a relentless promoter of Chinese art in Europe, so the announcement comes as no surprise. After being ranked number 46 on the Art Review 2017 Power 100 list, the collector seems to be unstoppable in putting into practice new ideas for bringing the cultural words of Asia and Europe. In 2010 Cheng founded the K11 Art Foundation (KAF), a registered not-for-profit organisation that promotes the development of the contemporary art scene in Greater China by providing support for emerging Chinese artists and taking them to the international stage. Not only does KAF nurture artistic talents, but it also serves as an incubator for professional practices of promising young curators. 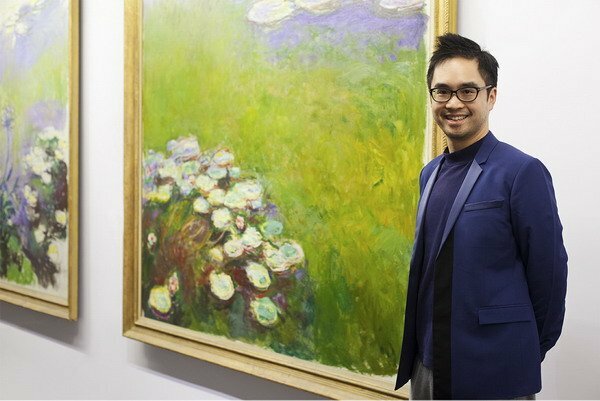 Cheng was noticed by the French Minister of Culture for having initiated collaborations between K11 Art Foundation and international museums, which include French institutions such as Centre Pompidou, Palais de Tokyo and Claude Monet Foundation. These cultural collaborations have allowed French audiences to deepen their understanding of contemporary Chinese art and to expand international opportunities for outstanding Chinese contemporary artists and curators. L’Ordre des Arts et des Lettres has three ranks – chevalier (knight), officier (officer), commandeur (commander) – and two high offices. 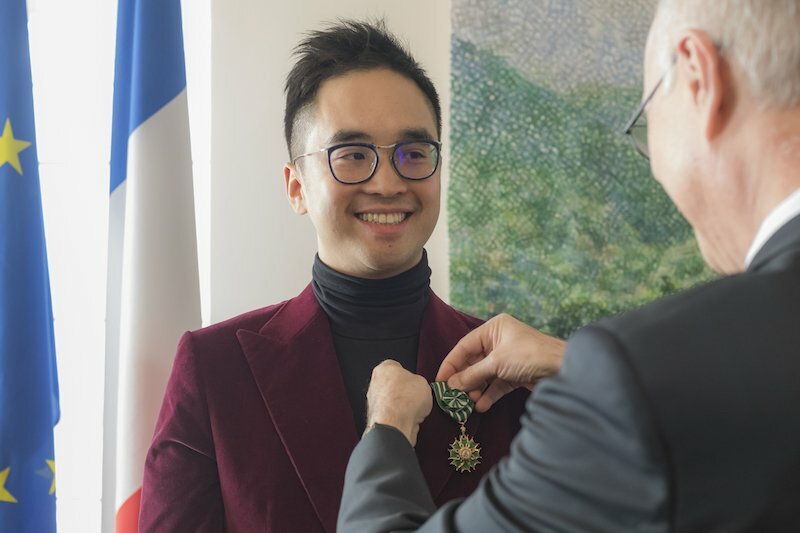 Cheng is the youngest person in Hong Kong to receive such honour from the French government since the Ordre des Arts et des Lettres was created in 1957. It is also notable that he has been placed directly at the ranking of Officier having skipped the tier of Chevalier. Another figure that have received the same grade this year has been American singer Pharrell Williams, who was nominated this March 6 in Paris. If we look strictly at the art world, Cheng joins figures of the calibre of Whitechapel Art Gallery director Iwona Blazwick, and artists Anish Kapoor, Olafur Eliasson and Nan Goldin. Among other distinguish Asian culture personalities to be awarded, is Thai independent film director, screenwriter, and film producer Apichatpong Weerasethakul, who became Chevalier and then Officier in 2008 and 2011 respectively for his cinematic work. More recently another great Asian art patron was awarded by the French government. On August 13 Budi Tek entered the prestigious Ordre national de la Légion d’honneur during a ceremony at his Yuz Museum in Shanghai. The Yuz Foundation has been responsible for several major gifts, loans and exhibitions in French institutions, such as the Musée d’Art Moderne de la Ville de Paris, the Centre Pompidou and the Giacometti Foundation. Sipping his last coffee as an “undercover art agent” in France while congratulatory messages flood in on his social media (IG: ac_kaf) , Adrian Cheng says he’s proud to have received this high honour: “It encourages me to continue pursuing and strengthening the cross cultural dialogues between our two countries”. The plans for the imminent future are ambitious and reflect Cheng’s intuitive ability to seamlessly blend art and commerce, as well as providing a global platform for Chinese artists and curators. By expanding K11 to 9 cities across China by 2023, he aims to bring education, imagination and inspiration within a retail environment to a new generation of consumers in Asia: “My ultimate goal is to increase dialogue and engagement between art and the public, and across continents,” he concludes.